............... 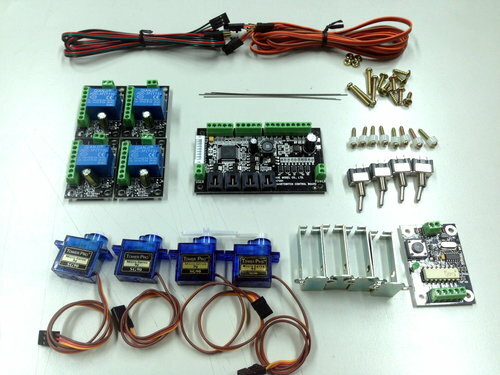 The ANEmodels SmartSwitch system uses Model Aircraft servos to control turnouts. 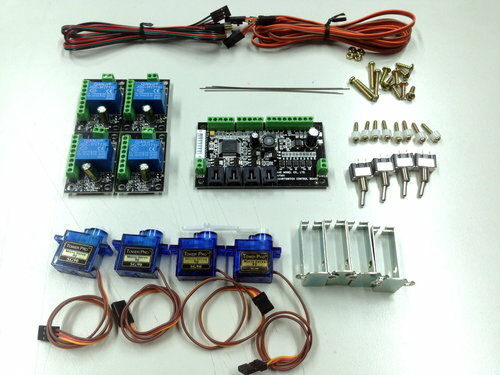 The complete system includes a Control Board, SmartFrog boards, a DCC decoder, and accessories. Virtual center line for easy trouble free mounting. Minimal structural interference---the servo and its mounting linkage are compact in size. More mounting possibilities---traditional, off-center or horizontal rotary installation. The servo can be installed either below the road bed or next to the turnout. 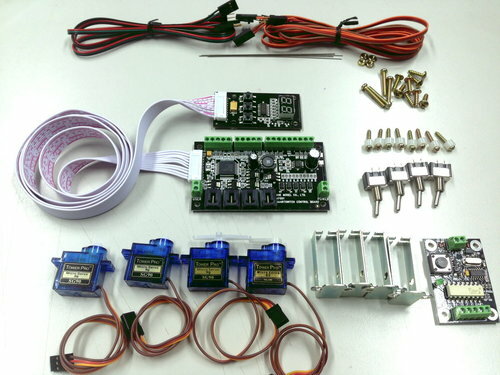 Adjustable servo speed and position through the programming features in the SmartSwitchTM control board to give you ultimate control for pressing the point rails against the stock rails. Each control board can control up to four turnouts. 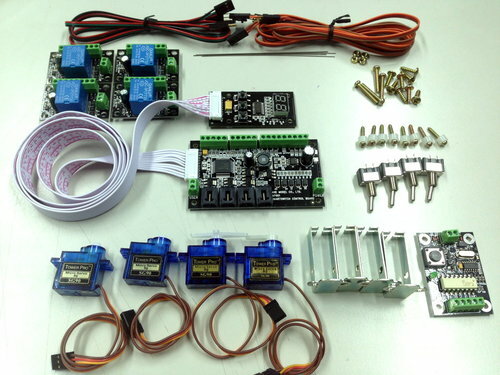 Can use the toggle switch and the push button to trigger servo movement. 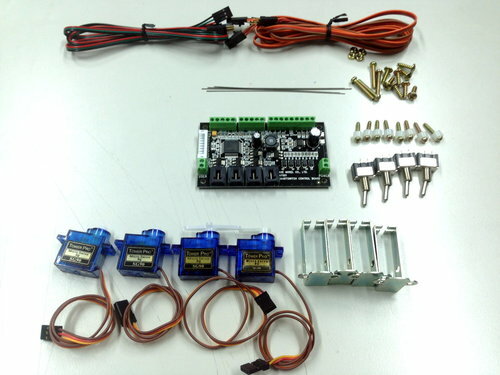 Can simultaneously control one or up to four servos by using one toggle switch or push button. Remember the turnout positions when power is off. Provides various settings for indication and signal light. Low current draw. 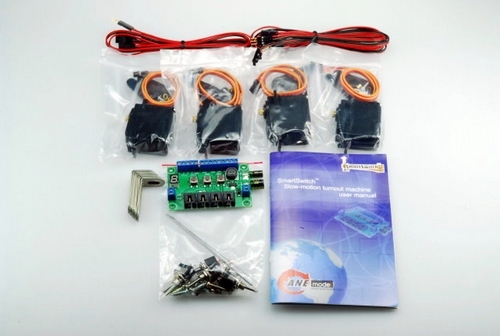 9V is the minimum requirement for the input power supply. 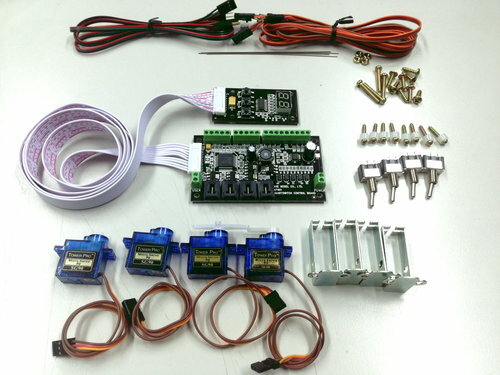 DCC friendly--- the SmartSwitchTM stationary decoder supports a full range of DCC accessory addresses (1-2048) and offers simple mainline address programming. The decoder also supports route control features from major DCC manufacturers. 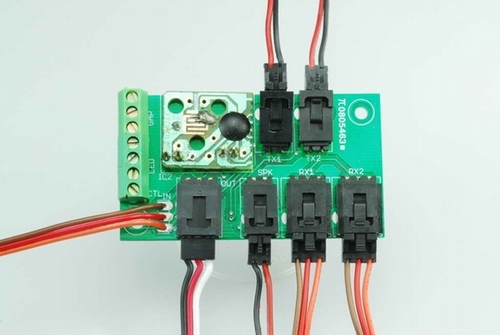 The SmartFrogTM has easy DCC friendly power route wiring. The precise polarity switch when both the point rails are not in contact with the stock rails allows for zero chance of short circuit. The SmartSwitchTM gives you the ultimate flexibility. Control board and mounting hardware. 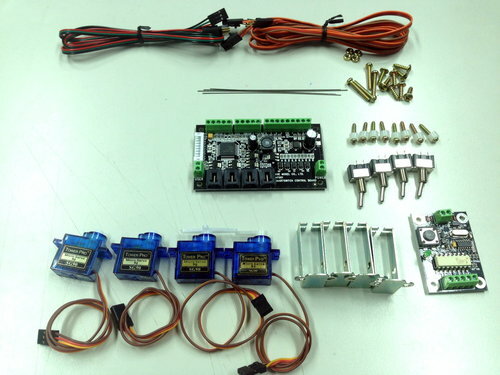 Four servos with cables, mounting brackets and mounting hardware. 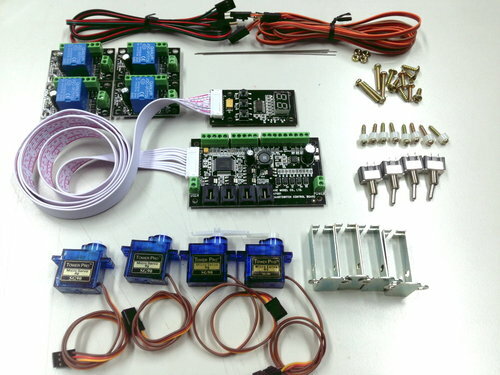 Four Large servos with cables, mounting brackets and mounting hardware. This content of this web page was accurate as to store stock at the time it was updated. We do not stock everything all the time. It is easy to get. If you want something we can usually get it in two weeks. 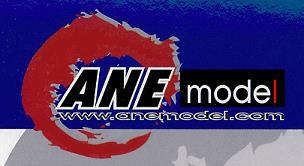 As updates are done as time permits web page contents may not reflect current store stock. Please contact us for the stock status of any item that interests you.